For over 30 years, L'OCCITANE has created natural beauty products inspired by the Mediterranean art-de-vivre. Our hotel amenities and gifts sets are dedicated to your guests' well-being and underline our commitment to global excellence hospitality. 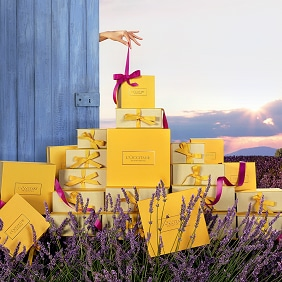 L’OCCITANE offers your guests a true voyage of the senses through the richness of our formulas, our enticing fragrances, our delicate textures and delightful packaging. To take part of L’OCCITANE Hotel Amenity Program, please fill in the form below and our representative will contact you back.